On Saturday in the Western Premier League it was a last ball finish at Nunholm for Stafforce Dumfries in their game against Renfrew. With seven wickets down they required two to tie, or three to win, off the last ball but managed to score just the one for a single run defeat. Earlier Peter Lojszczyk and Niall Alexander with three wickets each had helped to keep the visitors in check in their first innings total of 218 for 9 after Renfrew had been 125 for 1 wicket. Then a partnership between the Lakeland Fluid Power Dumfries Man of the Match Alan Davidson and Pat Druce set the Dumfries side on course when they reached a similar position of 129 for 1. However both batsmen were then out in quick succession for 58 and 48 respectively. Then against an increasing run rate Chris Bellwood nearly got the victory finishing on 50 not out after eleven runs were needed off the last over to win. In the Western Premier Reserve league, Eco-Genics Nunholm registered a two wicket win at Deanpark. Stuart Alexander took three wickets as Deanpark were all out for 145. However Davie Davidson was the Creative Ceilings Man of the Match with four wickets and then the top score of 80 as Nunholm reached their winning total. This Saturday Dumfries travel to Ayr and Nunholm play Ayr 2nds at home. Dumfries Women played a double header on Sunday and they also suffered a close defeat to Ayr in the Scottish Cup when they lost with two balls left. Kirsty Strachan was the Parkdale Garage Dumfries Player of the Match scoring 74 not out in the Dumfries total of 118 for 3. 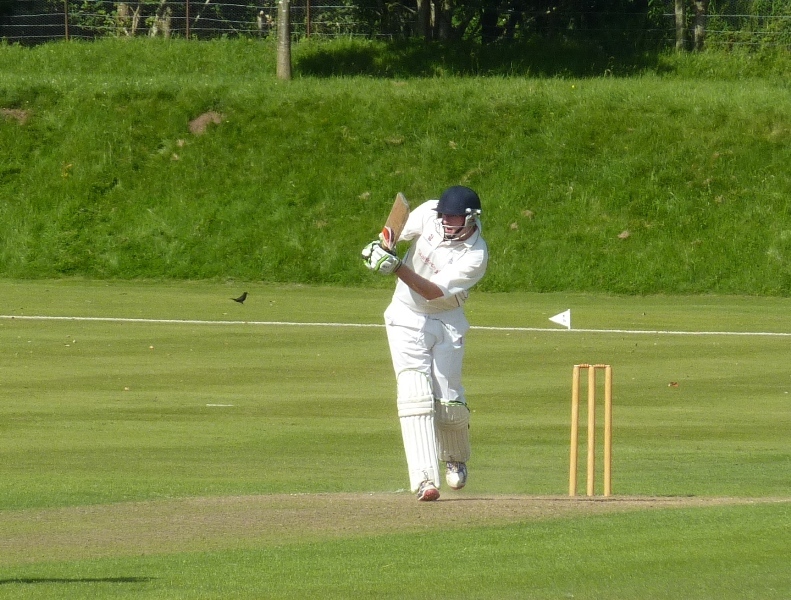 However Merli hit an unbeaten 52 not out for Ayr in reaching the target. In their second match Dumfries beat hosts Galloway in the National League after setting a total of 104 for 4 with Sue Strachan hitting 49 not out. Summer Cricket Camp: takes place at Dumfries Sports Club, Nunholm, on Tue/Wed, 22nd,23rd July, 10-3pm. For boys and girls aged 7-13. The cost for the 2 day camp is £25. To book contact the Club on dumfriescricketclub@gmail.com or 07799 856094.